When the new promotion photos started popping up on MSGM’s Instagram I was in complete awe. 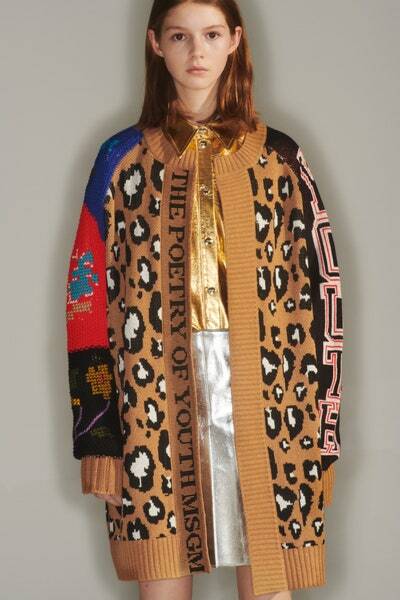 The Poetry of YOUth is a collection of 52 looks, yes you can wear one look per day for a whole year, with beautiful shades of metallic splashed throughout many looks. As a self proclaimed metallic expert I am on the constant hunt for metallic pieces in the fashion world since metallic pieces are not always included in every season. MSGM did not disappoint with the Pre Fall 2019 collection. Every metallic piece is a showstopper and can easily be incorporated in your wardrobe as seen on the photos. MSGM did an amazing job of styling each look to where it gives off neutral vibes that we love so much with just a hint of metallic. The gold boots are fabulous and go so well with the camel coat. The ruched detail give it so much character and edge. I hope you love and enjoy this collection as much as I do and hope this inspires you to put some metallic into your next look!